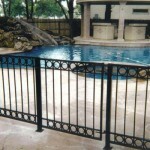 Art Fences Pool Fences & Pool Covers has your pool safety solution! 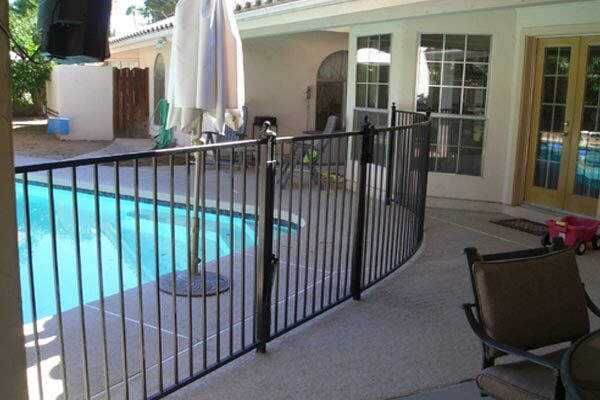 Our fences can be customized to fit any size swimming pool and are available in either 4 or 5 foot heights and can be installed on nearly all pool deck surfaces. 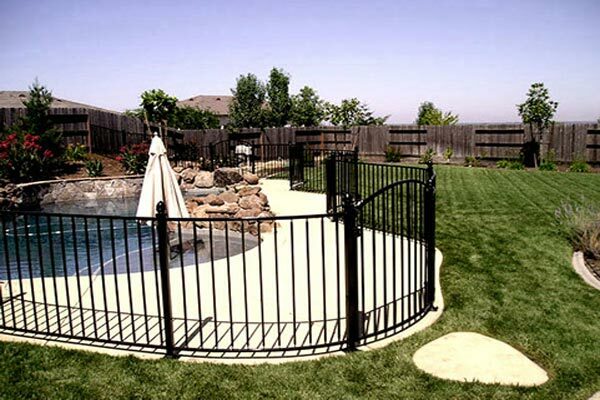 Our swimming pool fence feature a self-closing gate that will swing shut and is key-lockable. 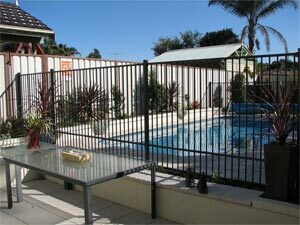 Why Choose Art Fences Security Swimming Pool Fences? 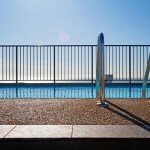 Our swimming pool security fences are available in plenty of colors and styles to match your outdoor color scheme. 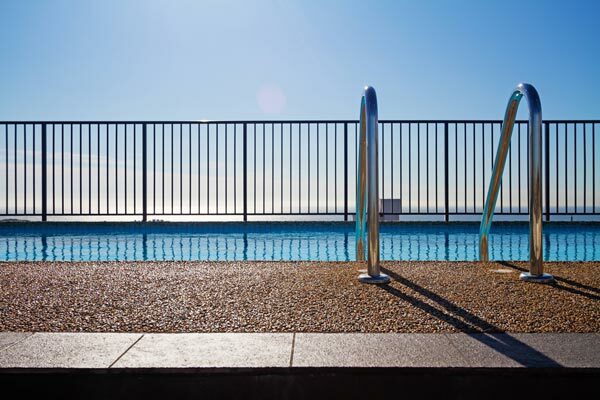 Our swimming pool fences are 100% rust-proof and come with a limited manufacturer’s warranty. 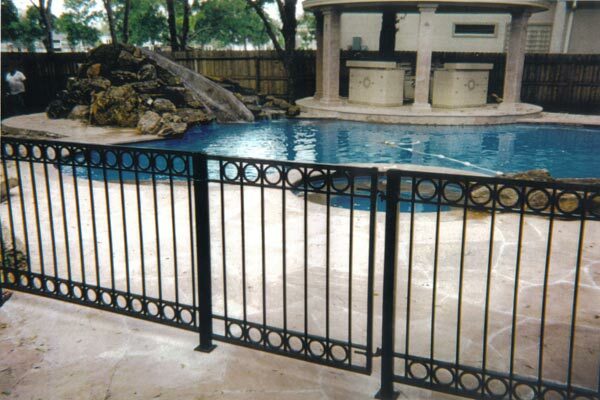 Swimming pool safety fences and accessories are mandatory in some communities, especially in the Texas Gulf Coast where pool season is nearly year-round. 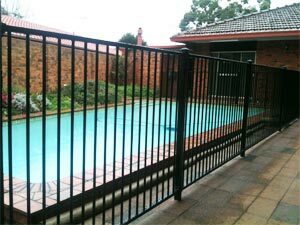 Our swimming pool security fence experts will work with you so that your pool is within your home owners association guidelines. We believe our swimming pool fences and self-closing gates are the most innovative and reliable pool safety products available today. **Please note: No fencing could ever guarantee your childs safety. Never a leave a child unsupervised with or without a pool safety barrier. 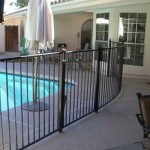 Each one of our fences or gates are custom designed and hand made specifically for your installation. We pride ourselves in quality workmanship and the superior quality of our products so that your installation will be an impressive addition to your property. 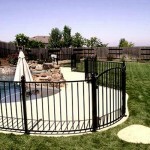 Customizing your fence or gate to your specifications is our top priority. 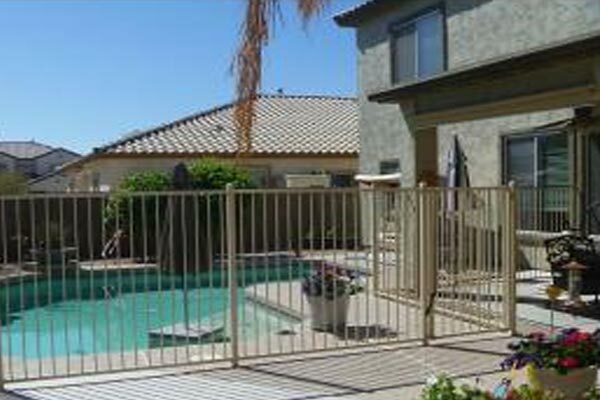 We work diligently to turn your dream into a reality with custom decorative fencing, entry gates, and railing. We look forward to working with you!